This activity based on a recent live symposium offers an expert-led view of the key science that supports the use of innovative therapeutics in the setting of severe, uncontrolled asthma and explores the practical aspects of diagnosing and managing uncontrolled disease based on clinical experience. This activity has been designed to meet the educational needs of pulmonologists, allergists, immunologists, and other clinicians involved in the management of patients with severe asthma. Consultant for AstraZeneca; Genentech, Inc./F. Hoffmann-La Roche Ltd.; Novartis Pharmaceuticals Corporation; Regeneron Pharmaceuticals, Inc.; and sanofi-aventis U.S. LLC. Grant/Research Support from AstraZeneca; Genentech, Inc./F. Hoffmann-La Roche Ltd.; Novartis Pharmaceuticals Corporation; Regeneron Pharmaceuticals, Inc.; sanofi-aventis U.S. LLC; and Stallergenes Greer. Other Financial or Material Support from AstraZeneca and Genentech, Inc./F. Hoffmann-La Roche Ltd. for speaker honoraria. Jonathan Corren, MD, does intend to discuss either non-FDA-approved or investigational use for the following products/devices: novel biologic and targeted agents being assessed for the management of severe asthma, including dupilumab, tezepelumab, and fevipiprant. Consultant for AstraZeneca; sanofi-aventis-Regeneron Pharmaceuticals, Inc.; and Teva Pharmaceutical Industries Ltd.
Other Financial or Material Support from Elsevier in the form of Royalties for a chapter in a book. 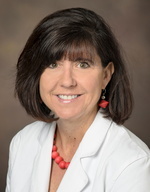 Monica Kraft, MD, does intend to discuss either non-FDA-approved or investigational use for the following products/devices: novel biologic and targeted agents being assessed for the management of severe asthma, including dupilumab, tezepelumab, and fevipiprant. Howard J. Lee, MD, has no financial interests/relationships or affiliations in relation to this activity. Mary Mihalovic has no financial interests/relationships or affiliations in relation to this activity. The Medical Learning Institute, Inc. designates this enduring material for a maximum of 1.0 AMA PRA Category 1 CreditTM. Physicians should claim only the credit commensurate with the extent of their participation in the activity. This activity is supported by an independent educational grant from AstraZeneca LP.